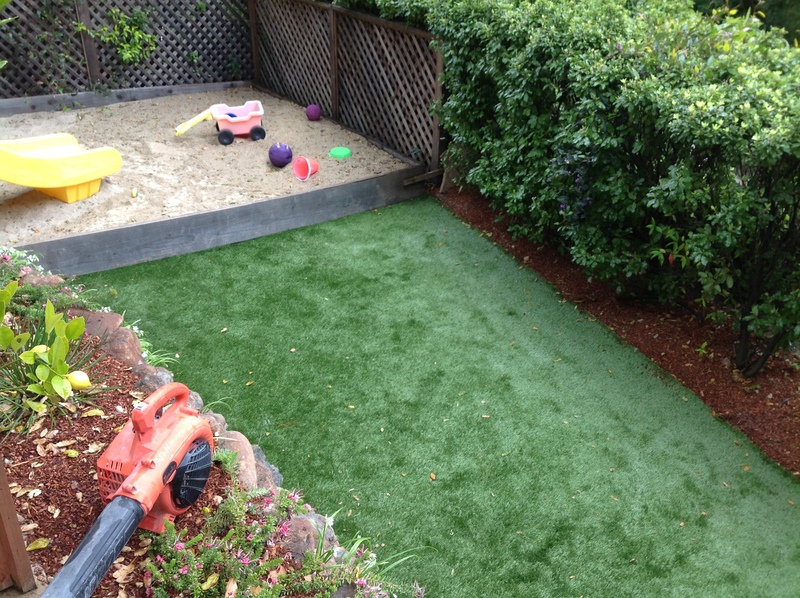 With the increasing options available with synthetic turf, and the environmental benefits of not requiring watering, mowing, or fertilization, more people are considering synthetic turf alternatives. One of our most exciting products is Italgreen’s Artificial Turf. Did you know that Van Midde and Son offers the only real eco-friendly all weather turf? We don’t put used tires under your new lawn. We’ll open your eyes to some common practices of other artificial turf brands and how ours is superior. 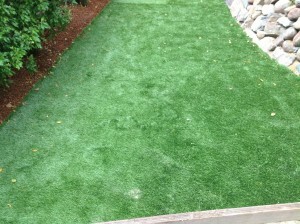 Italgreen combines the benefits of removing natural turf, with an environmental material construction. 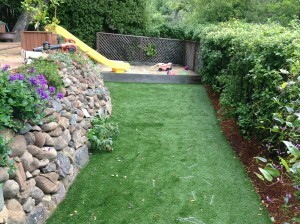 Many of the current synthetic turfs combine various types of plastics to simulate a natural grass blade. Italgreen is an eco-friendly curb appeal solution. There are some environmental concerns with the long term effects of leaching or runoff from these products. Italgreen is made of a more environmentally friendly yarn construction, instead of plastic based blades. It also uses an organic granule infill instead of recycled rubber infill pellets. Italgreen offers considerable environmental and ecological advantages over all competing systems. Italgreen products are the non-carcinogenic solution utilizing a unique Geo-Fill infill material consisting of natural, organic granules,weather resistant fibers and natural weed killers. Italgreen Geo-Fill resists shifting, provides outstanding support for active sports, is odor free and will not overheat in strong sun – resolving all the serious issues common with conventional rubber based in-fills. Italgreen is the ECO-sensitive answer to today’s landscape issues providing year-round beauty, outstanding durability, exceptional performance for sports facility applications and unique environmental advantages. Be sure to check out our list of Products here. 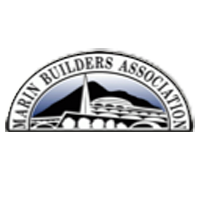 Located in San Rafael, Van Midde and Son Concrete installs artificial turf in Marin County, Sonoma County and throughout the San Francisco Bay Area.